Following yesterday's post, here we have the new for 2015 Inside Out Joy Keepsake Ornament from Hallmark! 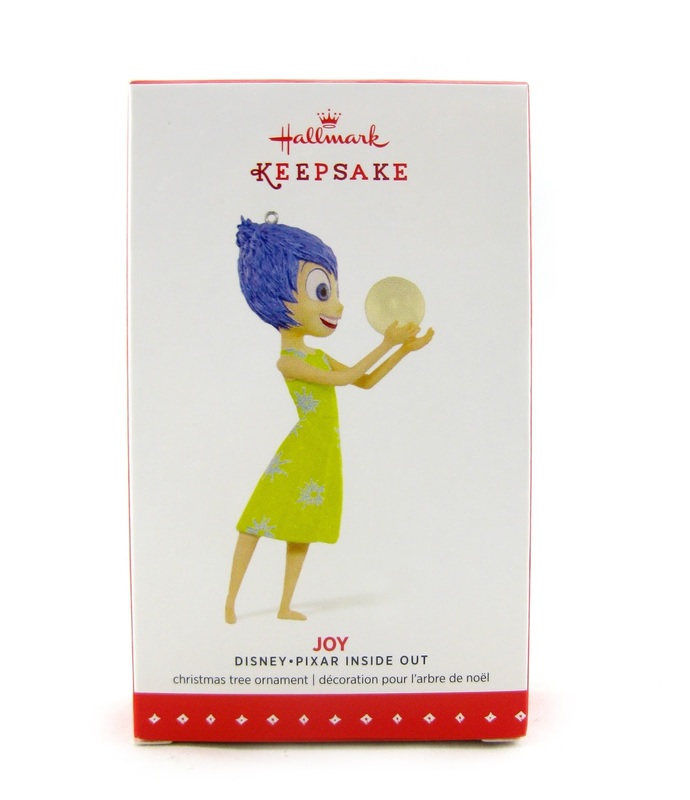 This is a stunningly crafted Christmas ornament with a great likeness to the character, a wonderful paint job and other fine details. It looks even better in person- love the memory orb! I can't tell what material this is made from (and couldn't any info anywhere), but it's very lightweight and feels almost hollow. It doesn't quite feel like plastic to me, but it very well could be. 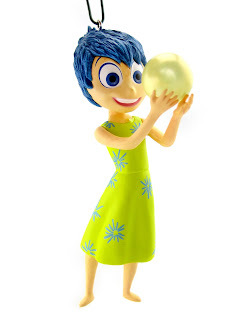 Joy stands at just under 4.5 inches tall and retails for $14.95. Lets take a closer look out of the package! 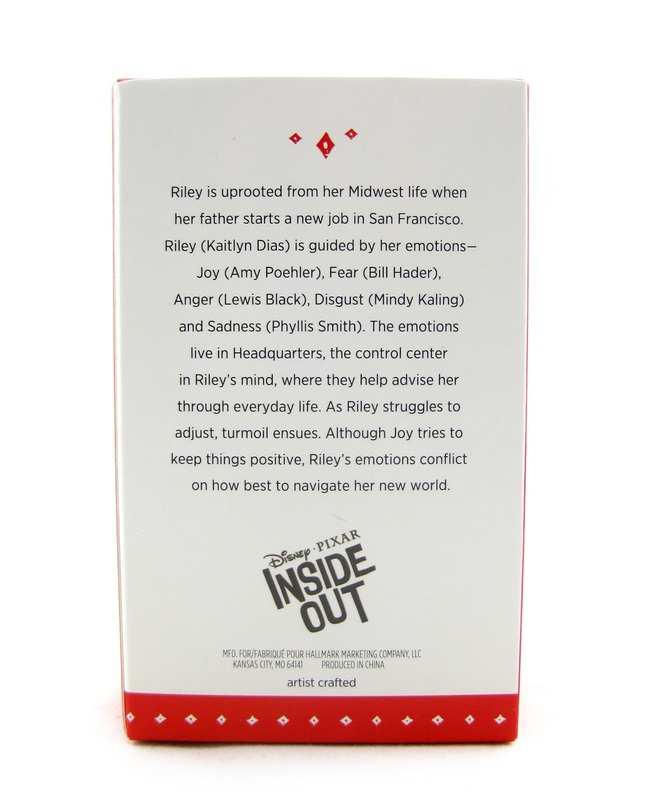 For fans of this year's instant classic Inside Out, I can't recommend this enough! 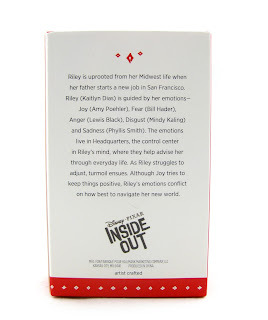 Be sure to check your local Hallmark store for availability, or find it on their website HERE. This will no doubt bring even more joy to an already joyous season. Happy holidays!